Theme: A rainy day offers opportunities to explore creative pastimes and to appreciate the wonder of weather. 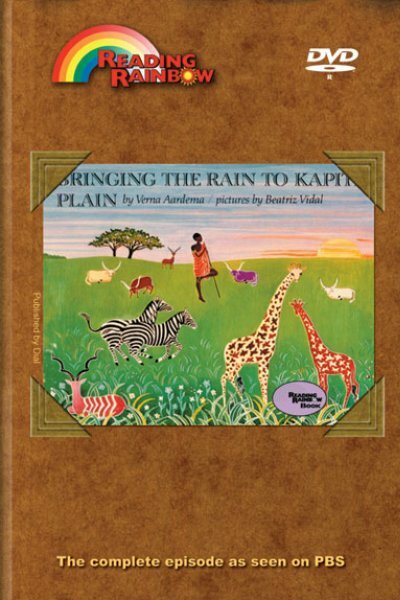 A cumulative rhyme relating how a young African boy brought rain to the drought-stricken Kapiti Plain. LeVar talks about rainy day activities including an aerial chase of a thunderstorm and puddle-hopping. Viewers visit the National Center for Atmospheric Research and learn about various aspects of weather and occupations that are dependent upon meteorology. Puddle Hopping - LeVar talks about rainy day activities. Children jump in a puddle while the song "Puddle Hopping" is sung. What Makes Thunder? - Kids on the street answer the question "What makes thunder?" Then, visit scientists from the National Center for Atmospheric Research and learn about various aspects of weather, and occupations that are related to meteorology. Predict the Weather - LeVar and other people tell their myths about how to predict the weather. 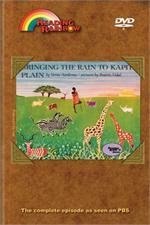 Review Books: The Cloud Book by Tomie dePaola; Rain by Peter Spier; A Story A Story by Gail E. Haley. Use this episode to further enhance your science curriculum. Science Concepts: surface tension, adhesion, thunder, lightning, static electricity.